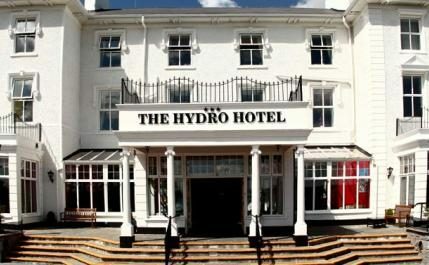 The Hydro Hotel is a 3 star superior hotel located in the heart of the Burren in the historic spa town of Lisdoonvarna, County Clare Ireland. It is a family run hotel which has been welcoming visitors for nearly 140 years. The building dates back to the 19th century and has maintained the original architecture and décor to create a lovely ambiance of old-world hospitality. With 110 rooms, and a luxurious lounge area, the hotel is perfect for those wanting to get away from it all. Many of the rooms afford spectacular views of the Burren and Clare hills. Relax with a drink and traditional Irish music in the Hydro hotel bar every night. The Hydro hotel restaurant offers international cuisine each evening. Free Wi-Fi is available in the public areas. All our rooms are fully en-suite and have every thing you need. We have a variety of bed configurations including double, triple and quadruple , so all your accommodation needs are catered for. 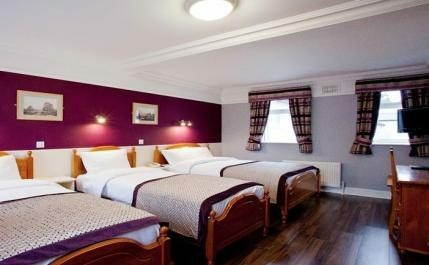 Spacious en suite rooms feature a satellite TV, coffee and tea making facilities and a telephone. The bathrooms also include a hairdryer and toiletries. Lisdoonvarna is a spa town that serves as a wonderful base for exploring the highlights of County Clare. Lisdoonvarna is also known for its lively celebrations, including the annual Matchmaking Festival. 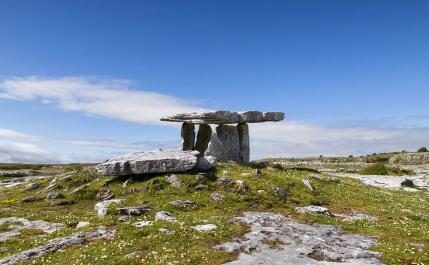 County Clare is home to the UNESCO Burren, Cliffs of Moher Geopark, Aillwee Cave, loop heap peninsula, and historic towns if Ennis, Kilrush, Killaloe, Bunratty and Ennistymon. The region also offers travelers, popular activities like surfing, angling, walking, rock climbing and horse-riding.